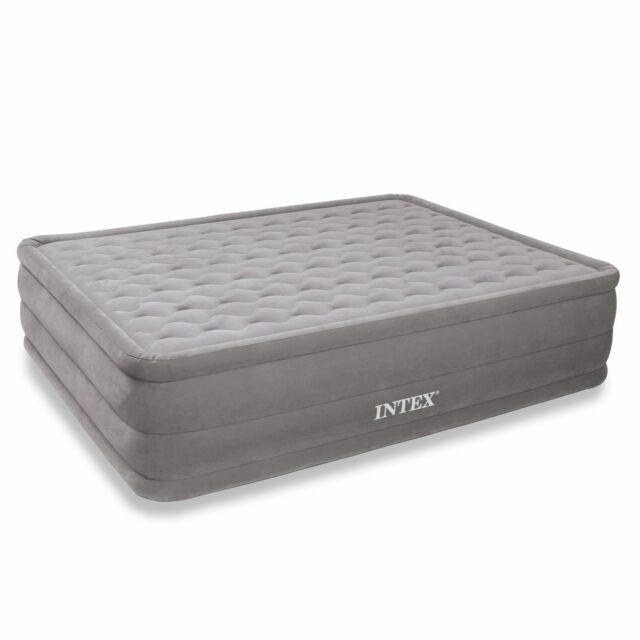 The Intex Queen Ultra Plush Airbed is equipped with a built-in electric pump that inflates and deflates the mattress quickly with a simple touch of a button. It features a textured surface, which offers optimum comfort. In addition, this mattress can be folded easily for easy storage. pMattress is raised 18 (46cm) from the floor for convenience. This bed really came in handy when we needed one for the spare room. For a while I just laid clothes on it, but once I needed it use it I found it to be sturdy and comfortable. I will order another of these for the near future as you never know when you might need one for those unexpected folks who end up being snowed in.